Why support the Southwest Defense Alliance? The Southwest Range Complex is uniquely suited to modern warfare’s challenges, for within this “theater” lies the most extensive complex of test and training ranges and weapons expertise in the world. It supports the development of new technologies, the development and evaluation of new tactics and doctrine, and the continuing preparation, training and readiness of the warfighters prior to deployment. The SWDA board of directors welcomes these sponsors and coalition partners. Participants at regular SWDA public meetings will become acquainted with these companies and with the important role each plays in the Southwest Defense Complex and our national security. Sponsors may address the board of directors and general members during scheduled meetings regarding the sponsor’s organization. Sponsors are invited to attend all future meetings at no additional cost. AeroDef Manufacturing Summit & Exhibition – Relationships. Technology Showcase. Innovation.AeroDef® Manufacturing is the leading exposition and technical conference for the aerospace and defense manufacturing industry. Produced by the Society of Manufacturing Engineers (SME), in partnership with industry OEMs, our mission is to foster innovation across the extended enterprise to reduce costs, expedite production times and maintain manufacturing competitiveness in the global economy.AeroDef® showcases the industry’s most advanced technologies across an innovative floor plan designed to facilitate interaction and business relationships between exhibitors and buyers looking for integrated solutions. Their keynote speakers and panelists come from the highest level of government and business. They come to share their vision of the potential of technology, collaboration and public policy to transform manufacturing – concepts that attendees can actually experience on the exposition floor and in their in-depth conference sessions. It’s the one event that brings together high-concept, integrated solutions and real-world applications. If you have a stake in aerospace and defense manufacturing, you can’t afford to miss AeroDef® Manufacturing. Join them February 25-27, 2014, at the Long Beach (CA) Convention Center. The Aerospace & Defense Forum is a global aerospace and defense leadership community that provides opportunities for sharing of information and analysis, mutual encouragement and support, innovation, partnering and performance breakthroughs. To join the A&D Forum go to AerospaceDefenseForum.org. In 2014 Individual Annual Memberships are $300. Corporate Memberships are available. Joining one or more chapter mailing lists (to receive chapter meeting invitations) is free. For further information, please contact Ivan Rosenberg at IRosenberg@AerospaceDefenseForum.org or 818-505-9915. Ashley Hall, Brigadier General (ret) USA – The principals at Ashley Hall & Associates, Inc. have lived and served the Las Vegas community for over 40 years. Founder, Ashley Hall, Sr., is well known for his outstanding leadership and community involvement in Las Vegas and around the state of Nevada. Through Ashley Hall, II, AHA, Inc. has been in the real estate brokerage and management business for over 15 years. AHA, Inc. provides its clients and customers with a full range of real estate services, including professional property management (commercial and residential property), commercial sales (including land) and commercial leasing. AHA, Inc. also provides acute court appointed receivership services of real property and general business, with over 100 receiverships performed to date. 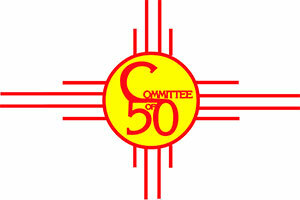 Alamogordo, New Mexico Committee of Fifty – The Committee of Fifty is an arm of the Alamogordo New Mexico Chamber of Commerce. The Committee is composed of interested business people, who are Chamber of Commerce Members, from the community.The purpose of the Committee is to promote the expansion, development, and effectiveness of Holloman Air Force Base and White Sands Missile Range.Within that purpose, additional functions of the committee are to promote economic development in Alamogordo and Otero County, New Mexico and to promote, develop, and accomplish such other programs as the Committee identifies them to be in the best interest of all of the communities within Otero County. China Lake Alliance – We are a committee of the Indian Wells Valley Economic Development Corp (IWVEDC). We serve as a support mechanism for the relevant and critically important work done by our community in support of the US Navy. The continued support of these efforts is vital to the Navy and in their implementation of mandates for our national security policy. Clity of El Segundo – Would you believe that this city, which is now known as a major aeronautical and industrial business center, home to the Los Angeles Air Force Base and more than 17,000 people, was once a “round clump of willows”?Prior to El Segundo’s incorporation in 1917, this area was part of “Rancho Sausal Redondo” (“Ranch of the Round Clump of Willows”), a rancho with a land mass of nearly 25,000 acres which extended from the areas as far west of what is now Playa del Rey, as far east as Inglewood, and as far south as Redondo Beach. The land consisted of wheat and barley fields on which cattle and sheep grazed.In May 1911, five men representing the Standard Oil Company arrived here: Richard J. Hanna and J.E. Howell of the Eclipse refinery of Franklin, Pennsylvania and John Black, Henry Foster and William Rheem from the Standard Oil refinery in Point Richmond, a city 18 miles east of San Francisco). They were surveying the area as a potential site for their next oil refinery. What was required was an area adjacent to the seashore so their tankers could have appropriate access. The undeveloped nature of the site appealed to them because land costs had to be kept to a minimum. Also, the site had to be close to populated areas so it could attract enough employees.The “clump of willows” was just what Mr. Hanna’s team was looking for.Lastly, this new site needed a name. Richard Hanna’s wife, Virginia, deemed this expanse as “El Segundo”, (Spanish for “the second one,”) because the site was to be Standard Oil’s second oil refinery in California (The Point Richmond refinery was already christened as “El Primero”). Sometime later, a group of proud but unknown citizens had nicknamed it “El Segundo a nada” (Spanish for ‘second to none’).Standard Oil bought 840 acres of this land on June 11. 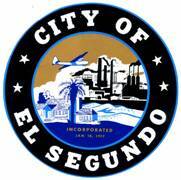 The refinery opened for business, just five and a half months later, on November 27.On January 18, 1917, less than six years after the opening of the refinery, the City of El Segundo was incorporated. ClancyJG International – is an Engineering, Professional, and Consulting Services company that provides expertise in Engineering and Analysis, Air Traffic Control, Airspace Management, Airfield and Air Traffic Operations, Unmanned Aircraft Systems, Obstruction Evaluation/Airport Airspace Analysis (OE/AAA), Aviation Security, Airport/Air Carrier Security, Flight Test Range Operations and Maintenance, and Management and Technical Consulting with unique talent experienced in supporting the Federal Aviation Administration (FAA), Department of Defense (DOD), National Aeronautics and Space Administration (NASA), and Commercial Prime Contractors. Available to assist in solving today’s complex management and technical challenges. Computer Consulting Partners – (CCP) is a Security Solution Provider and Aggregator which has provided security consulting services and technologies since 1992 to a worldwide customer base. These services have included expert corporate security advice, product recommendations and implementation, ultra-high-speed network protection, and security support. CCP delivers consulting services and solutions, network purification, encryption tools, security system design, and security implementation for Governments and Companies worldwide. CCP maintains current registration with the U.S. Department of State Office of Defense Trade Controls Compliance and Registration Division. CCP has satisfied clients in North America, Europe, the Pacific Rim, West Africa and the Middle East. Cubic – Cubic is a leading technology and specialized services company. We are a diversified global enterprise with customers in more than 50 nations, and employ approximately 7,800 people worldwide. All of Cubic’s businesses share an enduring commitment to transform technology into systems and services of value. As specialists in revenue collection solutions for public transport, our transportation business is shaping the way people travel in the world’s largest cities. Cubic’s defense businesses provide comprehensive mission support services and training systems that strengthen the readiness of national militaries and security forces. Our communications and cyber products safeguard and transmit data in real world operations. We also track assets for commercial and military customers who need to know about their assets 24/7 anywhere in the world. DRS Tactical Systems, Inc – DRS Tactical Systems is a world leader in high-performance, ultra rugged computer systems and integrated peripheral products. Designed to go where other systems dare not, our computers, servers, flat panel displays and other products support ground force modernization and C4ISR applications for land, sea and air operations across a variety of platforms. What’s more, our solutions are battle-proven, ensuring war fighters have digital technology they can count on – even in the most extreme conditions. El Paso Regional Economic Development Corporation – The El Paso Regional Economic Development Corporation (REDCo) and Paso del Norte Group (PDNG) have joined forces to establish the Borderplex Binational Economic Alliance. The “Borderplex” is a bi-national metro area of more than 2.7 million people, encompassing three states and two nations — offering a globally competitive business environment. Led by the private sector, the primary mission of the Borderplex Alliance is to develop a world class regional economy thru advocacy of pro-development policy, attracting new jobs and foreign direct investment, and by assisting the expansion of the region’s existing business/industry base.For companies considering expansion or relocation in to the Borderplex region, or for inquiries related to economic data on the region, call 915-534-0523 or click on the REDCo link on this page. For members and investors wishing to obtain current information on Borderplex Alliance initiatives, call 915-534-7364 or click on the Paso del Norte Group link. El Paso Chamber of Commerce – The Greater El Paso Chamber of Commerce was established in 1899 and is a non-profit organization, 501-c6, that is focused on enhancing the business community in El Paso. We are the “VOICE” for El Paso business that is opportunity focused, integrity based, supporting community and military partnerships to enhance the economic prosperity of the region. Impact Sciences, Inc – We are environmental analysts, planners, scientists, ecologists, permitting and entitlement specialists, botanists, biologists, and cartographers. We’ve been providing consulting services throughout California since 1988. Our staff continues to be at the forefront of rapidly evolving issues, such as climate change and greenhouse gas emissions, water resources, agricultural land conversion, wetland permitting, and threatened and endangered species. JT3 – JT3 provides engineering and technical support to four of the western test rangesfor the U.S. Air Force and Navy under the Joint Range Technical Services Contract, better known as J-Tech. The company is a joint venture of Raytheon and URS (formerly EG&G) and is supported by 10 teammate companies. Together we develop and maintain realistic integrated test and training environments. We prepare our nation’s war-fighting aircraft, weapons systems, and air crews for today’s missions and tomorrow’s global challenges. Kern County California – Spreading across the southern end of the California Central Valley, Kern County is the thirteenth-largest county by population in California. Its economy is heavily linked to agriculture and to petroleum extraction, and there is a strong aviation and space presence. Kirtland Partnership Committee – The Kirtland Partnership Committee, or KPC, is a 501.c.6 private, non-profit corporation with the mission of “supporting, preserving and growing” Kirtland Air Force Base in Albuquerque, New Mexico. The KPC is non-partisan. The KPC was established in 1996 after its precursor group was successful in having Kirtland AFB removed from a 1995 base closure process in which the base faced a massive downsizing (not closure, a common misconception). Lockheed Martin – Headquartered in Bethesda, MD, Lockheed Martin is a global security and aerospace company that employs about 118,000 people worldwide and is principally engaged in the research, design, development, manufacture, integration and sustainment of advanced technology systems, products and services. Los Angeles Chamber of Commerce – By being the voice of business, helping its members grow and promoting collaboration, the Los Angeles Area Chamber of Commerce seeks full prosperity for the Los Angeles region. As a trustee for the current and future welfare of the region, the Los Angeles Area Chamber of Commerce champions economic prosperity and quality of life. Los Angeles Economic Development Corporation – Founded in 1981, the LAEDC was created by the Los Angeles County Board of Supervisors to implement LA County’s economic development program through land development, project financing and marketing activities. During its history, the LAEDC has evolved from being a facilitator of the County’s industrial bond development program to being Southern California’s premier economic development organization. Maytag Aircraft Corporation – Maytag Aircraft Corporation is a U.S. Government services contractor, providing valuable and essential operations and maintenance services ranging from aircraft refueling and air terminal and ground handling to base operating support and weather observation and forecasting at multiple international and domestic locations. Metro Energy Solutions – Metro Energy Solutions is a full service consulting, engineering, design and build firm specializing in mechanical and electrical energy efficiency and cogeneration projects. We provide a wide range of customized services to meet the energy needs of our clients in a variety of markets, including government buildings (State, County, and Municipal); K-12 schools; colleges and universities; health care facilities; hotels; water and waste-water treatment plants; apartment complexes; and the commercial and industrial sectors. Our commitment to provide outstanding service to our clients was recently recognized by the United States Department of Energy, which presented Metro Energy Solutions with its National Energy Champions Award, one of the highest honors an ESCO can achieve. Mercury Air Group – Mercury Air Group, Inc., based in Torrance, CA, is a global leader in the aviation services industry and is one of the largest privately owned aviation services company in the world with business operations on five continents in nearly 60 locations. Mercury, through its subsidiaries, provides aviation petroleum products, air cargo services and transportation as well as support services for international and U.S. commercial airlines, general aviation and U.S. government aircraft on airports and U.S. military bases throughout the world. Nevada Alliance for Defense, Energy and Business – Access to government, to business organizations, to university interests and, most importantly, access to the marketplace of core technology firms in Southern Nevada. Membership in the Nevada Alliance conveys this accessibility. The Nevada Alliance for Defense, Energy, and Business was incorporated in 1992 as a non-profit trade group with five corporate members. It has since become an acknowledged authority for technology development in Nevada with 40 corporate and associate members. Northrop Grumman Corporation – Northrop Grumman is a leading global security company providing innovative systems, products and solutions in aerospace, electronics, information systems, and technical services to government and commercial customers worldwide. Raytheon Company – Aspiring to be the most admired defense and aerospace systems company through our world-class people and technology. Raytheon is a technology and innovation leader specializing in defense, homeland security and other government markets throughout the world. With a history of innovation spanning 90 years, Raytheon provides state-of-the-art electronics, mission systems integration and other capabilities in the areas of sensing; effects; and command, control, communications and intelligence systems, as well as a broad range of mission support services. Regional Defense Partnership – The Regional Defense Partnership – 21st Century is a Ventura County community based organization headquartered in Ventura, California. Its primary mission is to ensure the continued economic growth and viability of Venture County through partner-based coordinated efforts that preserve and enhance the value of local military facilities and promote their retention in Ventura County. The Partnership focuses local, regional, State and Federal efforts on base retention, expansion and collaborative use; working effectively on the challenge of DoD planned reductions; maintaining regular and open communication between communities and military bases; and engage in regular and meaningful dialog with area State/Federal legislators and with local, State and Federal agencies associated with DoD. The Partnership works closely with the Naval Air and Surface Warfare Center, the Airborne Command Control and Logistics Wing, the 31st Seabee Readiness Group and the Air National Guard 146th Airlift Wing and other military commands located on Naval Base Ventura County. Partnership members are a diverse group of political, community, business and military leaders who collectively possess substantial knowledge and experience in military requirements and in developing partnerships that can mutually benefit all segments of the Ventura County complex. RELM Wireless Corporation – RELM Wireless Corporation designs and manufactures wireless communication products, principally two-way land mobile radios (LMR), sold to two market segments: 1) the government and public safety markets, including homeland security, fire, rescue, law enforcement and emergency medical personnel as well as military and various agencies of the federal, state and local governments; and 2) the business, industrial and commercial markets, including disaster recovery, railroads, educational institutions, hotels, construction companies and airlines. The products are offered under the brand names: BK Radio, and RELM. San Antonio Chamber of Commerce (Greater Area) – The Chamber has been serving businesses in San Antonio since 1894. Their goal is to continuously improve the business climate and build opportunities for growth for San Antonio and their region. They accomplish this through programs focused on advocacy, economic development, events and direct services to their members. San Diego Army Advisory Council – San Diego Army Advisory Council is a nonprofit mutual benefit corporation supporting, promoting, and representing the common business of the military, its quality of life, and defense industry community in San Diego. San Diego Military Advisory Council (SDMAC) – is a nonprofit mutual benefit corporation supporting, promoting, and representing the common business of the military, its quality of life, and defense industry community in San Diego. Southern California Leadership Council – The Southern California Leadership Council (SCLC) was founded in 2005 with the help of four former California governors – Gov. Jerry Brown, Gov. Gray Davis, Gov. George Deukmejian, and Gov. Pete Wilson. All are still active members of SCLC today, except for Governor Brown (due to his current status as Governor). Established as a non-partisan, non-profit, business-led public policy partnership of business and community leaders, SCLC exerts strong leadership on issues of regional significance and provides a common voice on major public policies that are critical to economic vitality, job growth, and quality of life in Southern California. The SPECTRUM Group – The SPECTRUM Group provides the access, insight, and experience to accomplish your goals in the nation’s capital. Widely recognized as one of the premier consulting firms in Washington, The SPECTRUM Group is a dynamic alliance of 125 members including 30 former flag officers coupled with former Senior Executives, other federal agencies, the private sector, and Capitol Hill focused on meeting our clients’ toughest issues. From analysis to implementation, only The SPECTRUM Group offers the complete range of client services – and the unmatched expertise to get the job done. Our name says it all. Texas Military Preparedness Commission – A driving force in Texas’ diverse economy, Department of Defense (DoD) military expenditures, including military and DoD civilian payroll, totaled more than $65.4 billion in 2008, making Texas the number one recipient of DoD expenditures. With historic active installations like Fort Sam Houston, Fort Bliss, Fort Hood, Randolph Air Force Base and Naval Air Station Corpus Christi, Texas is host to the most active duty military personnel in the country and Texas ranks second in DoD civilian workforce. URS Corporation – URS Corporation is a leading provider of engineering, construction and technical services for public agencies and private sector companies around the world. The Company offers a full range of program management; planning, design and engineering; systems engineering and technical assistance; construction and construction management; operations and maintenance; and decommissioning and closure services for power, infrastructure, industrial and commercial, and federal projects and programs. UAW United Aerospace Workers Local 148 – Serving the membership for over 60 years. Vectis Strategies – Vectis Strategies represents the interests of public and private corporations, entrepreneurial start-ups to non-profits, philanthropic foundations and local agencies seeking to engage leaders and move the needle of public opinion, forge collaborative solutions to complex challenges, create diverse coalitions, and mobilize action for real and lasting change. Headquartered in California, with offices in Los Angeles, Sacramento, San Diego and Washington, DC, Vectis Strategies is the only firm with founders from both sides of the aisle that have longtime bipartisan ties with the California Congressional Delegation, the largest in the United States. Ventura County Economic Development Association – VCEDA is recognized as the regional voice of business on issues affecting the economy in Ventura County and California. VCEDA is funded by membership dues and sponsorships. In return, VCEDA provides the advocacy, intelligence, networking and support necessary for success in today’s business climate. Yuma International Airport – The FC “Frosty” Braden Passenger Terminal at the Yuma International Airport offers travelers the latest in airport amenities and comfort. The $10 million Terminal building was completed in February of 1999 using local contractors and financing provided through the Federal Aviation Administration, the Arizona Department of Transportation and the issuance of tax exempt bonds.